Use tools in Axis LMS to create different experiences for different sets of users. 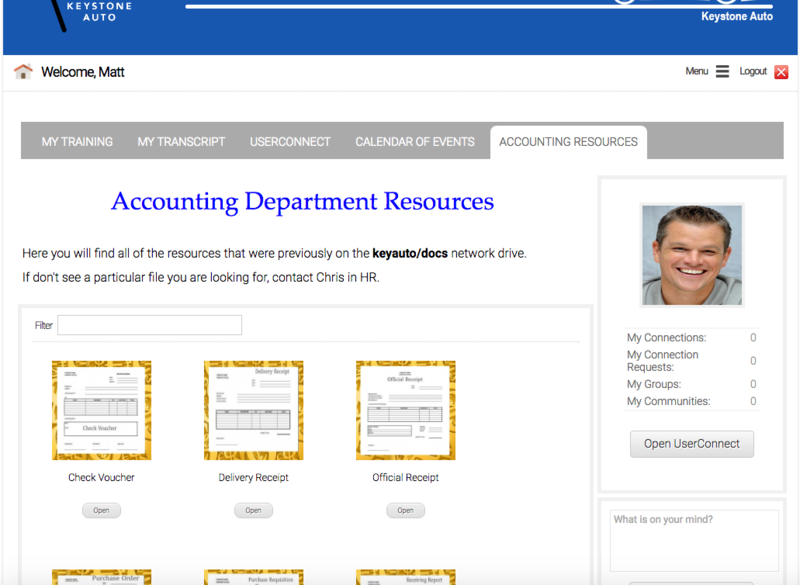 While every company may not find use from the Axis LMS Account website (the public-facing site), every Axis LMS administrator is able to take advantage of the User Learning Portal (private site). This portal acts as the central learning hub for your users. One very useful feature is the ability to set up different branding and even entire viewing experiences for users based on (for example) what company they are from (if you are selling training to external companies), or what group or department they are in. By using Page Groups efficiently, you can give users drastically different experiences; whether this is for sake of branding, or because the users are on different payment tiers, Page Groups can automatically direct your users to the Learning Portal that is appropriate for them. This same concept of page groups can also be used to create multi-tiered navigation menus that can be used both in the Axis LMS Learning Portal and Account Website. In the screenshots below, you can see this in action. 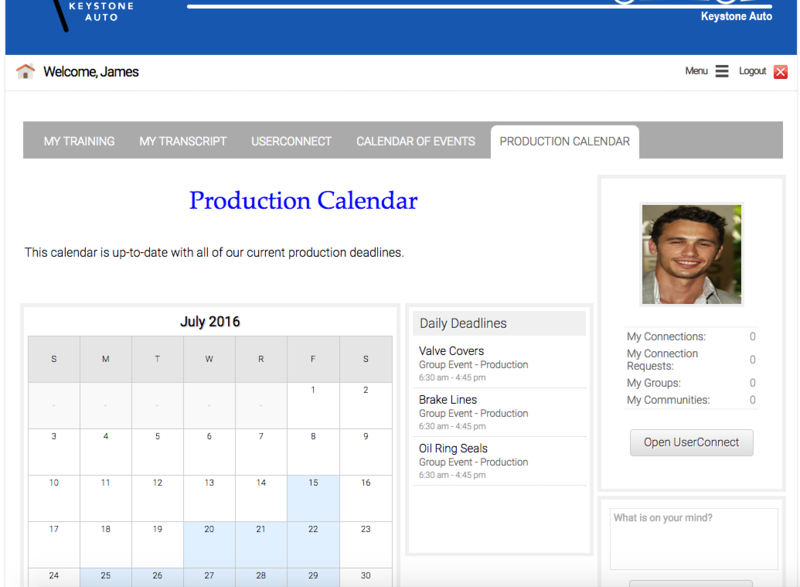 The image on the left shows a user from the Accounting Department and their resources all on one tab, while the image on the right shows a user from the Production Department and their production calendar. Once your Axis LMS has at least one user group, you’ll want to begin assigning what page groups they have access to. To assign a user group to a page group, go into your Learning Portal Settings (System > Site Design > Edit Learning Portal > Edit Learning Portal Settings) then expand the Page Group Settings. When you select a category to work with, you will notice certain changes to the defaults of widgets created. One of the more noticeable examples of this is the navigation strip / bar. 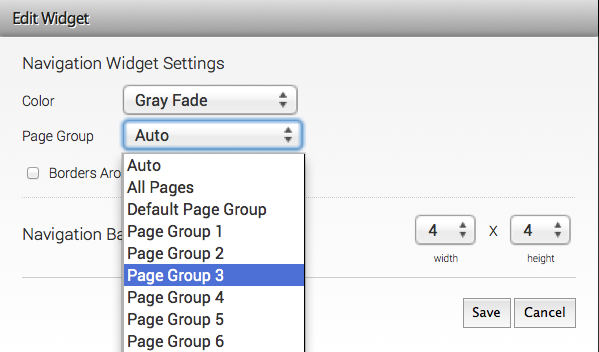 Instead of displaying ‘top level’ pages (pages assigned to ‘Default Page Group’), the navigation will be optimized for this page group and default to showing only the pages included in this page group. As you can see from the screen shot above, you can change what pages are displayed in the navigation by editing the widget, then choosing what page group’s navigation should be displayed. The net result is, each user will receive a personalized experience of pages and content based on the usergroup they are a member of. This entry was posted on Wednesday, March 8th, 2017 at 11:03 am	and is filed under ELearning 101. Responses are currently closed, but you can trackback from your own site.